Fleet drivers across most of the UK are bracing themselves for a very busy few days as the school holidays begin across the country and families head off on their getaways. The first weekend after the schools break up will be extremely busy as holidaymakers jam the roads on their way to various UK destinations such as seaside towns and national parks, while others will be heading to ferry ports and airports as they plan to take their vehicles overseas or leave them in long-stay car parks. For fleet drivers, that can mean delays and long waits in traffic jams as they try to go about their work, potentially leading to late deliveries and necessitating stopovers rather than the chance to get home for the weekend. This might be a particular concern for those who would like to get away on holiday themselves in the next few days. Moreover, the sheer volume of vehicles on the roads will add to the risk of accidents, with tomorrow (July 21st) being dubbed ‘Black Saturday’ by CCTV company SmartWitness. 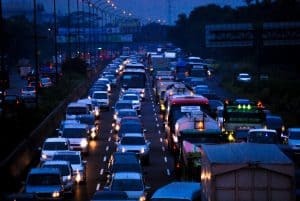 It also noted July and August as a whole are the worst months of the year for collisions, due to the high volume of traffic. According to RAC estimates, 3.8 million journeys will be undertaken this evening (July 20th) and nine million over the weekend as a result of people looking to get away on leisure breaks after the end of term for most schools in England and Wales. It predicted that “Frantic Friday” would bring the worst congestion on the M40, M5 and the A303in the south of England, but other areas would also be badly hit. The AA said people should check their cars before travelling to spot any problems and reduce the chances of a breakdown. In Scotland, the situation will be a lot less frantic as the schools there broke up weeks ago. Moreover, fleet drivers across Britain will at least be spared the congestion of the morning rush hour and school run over the coming month.